Sometimes coping with life can become difficult because situations may lead us along a pathway into crisis. We may find it hard to understand our own behaviours, thoughts and emotions, as well as those of others. Coping may not be easy if you feel alone and it may be difficult to talk over issues with family and friends. I can help you understand how to find solutions that will enable you to deal with situations and will empower you, leading to improvement in your emotional and psychological wellbeing. I am an experienced private practitioner who offers counselling and psychotherapy to clients. 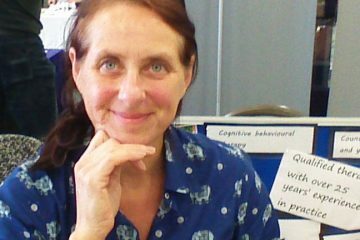 I have a professional background as a registered senior practitioner in clinical mental health and specialist addiction services. I work with children from age 5+, young people, ages 14-18 and adults. I am an HCPC registered Art Therapist and a CPCAB Children's Counsellor. I am enhanced DBS checked. I have worked with many clients and I have a deep understanding of the demands that life places upon us and the issues that people face.